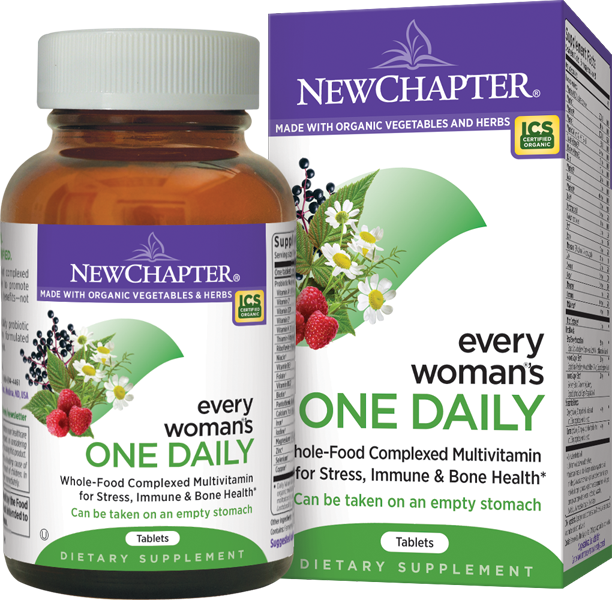 All of New Chapter's Multi-vitamins are probiotic and whole. The organic herbs and cultured whole-food vitamins & minerals in each formulation work together to promote optimal health and deliver condition-specific benefits – not just address nutrient deficiencies. The nutrient needs of men and women can be vastly different – the same can be said for people under forty versus over forty. New Chapter’s formulation team takes exacting care with each nutrient in all of our targeted daily Multi-vitamins to benefit the specific needs of the individual. New Chapter Multi-Vitamins are also Non-GMO Project verified - made with organic vegetables and herbs.